This winter, twenty-five makers of original digital and visual media poetry will come together for the 2016 Oslo poesifilm festival. The fourth Literary Europe Live event to take place so far, the festival will showcase pioneering work that crosses the boundaries of film, digital media and poetry. Some of the most exciting emerging and renowned poets, filmmakers and visual artists from Europe and beyond will be featured, including Sándor Vály (Hungary/Finland), Vessela Dantcheva (Bulgaria), Steve Roggenbuck (USA, pictured) and many more. Watch some of the films from the artists taking part on our playlist. 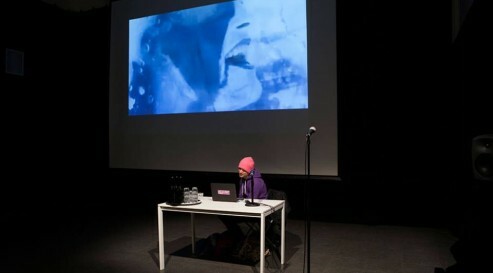 Oslo poesifilm festival is organised in cooperation with Literature Across Frontiers as part of the Literary Europe Live project supported by the Creative Europe programme of the European Union. Anna Blume from Compote Collective on Vimeo.